Clarkeprint cater for business calendars that fall outside the normal run of the mill designs. Our service favours small to medium volumes in bespoke formats. 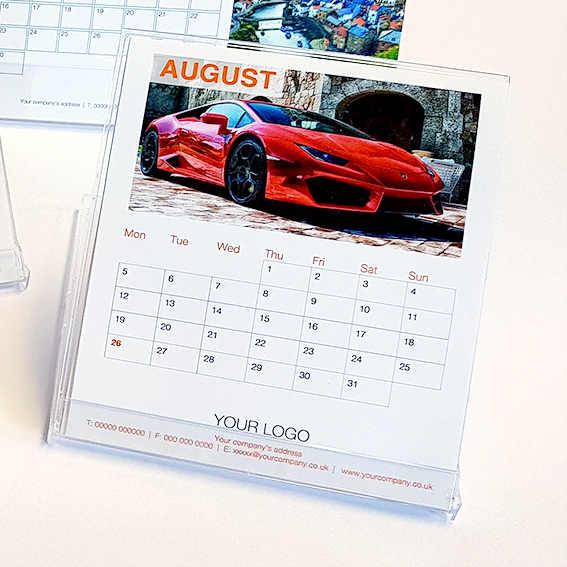 Calendar printing using our digital printing technology is very efficient and our most popular style is CD sized in a plastic jewel case. All manner of personalisation is possible which can create a lasting impact for your brand. Binding: Creased, Folded, Die-Cut and interlocking, Wiro bound (with/without hangers), Saddle stitched with drill hole. Want to know more about our range of calendars and how they can be personalised for your company? Request a sample by completing the form below or calling the team on 0121 454 7117.